Disc golf is played much like traditional golf. Instead of a ball and clubs, however, players use a flying disc or Frisbee®. The sport was formalized in the 1970’s and shares with “ball golf” the object of completing each hole in the fewest strokes (or, in the case of disc golf, fewest throws). A golf disc is thrown from a tee area to an elevated metal basket, which is the “hole”. As a player progresses down the fairway, he or she must make each consecutive throw from the spot where the previous throw has landed. The trees, shrubs, and terrain changes located in and around the fairways provide challenging obstacles for the golfer. Finally, the “putt” lands in the basket and the hole is completed. Disc golf shares the same joys and frustrations of traditional golf, whether it’s sinking a long putt or hitting a tree halfway down the fairway. 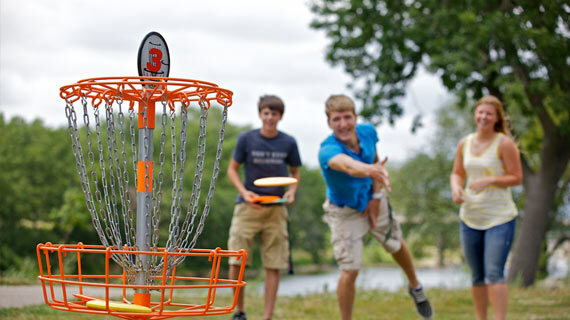 Hickory Sticks Disc Golf Course is FREE to youth (under 18) and also FREE to YMCA Members! Check back soon and follow us on Facebook for updates on opening day for our Disc Golf Course! 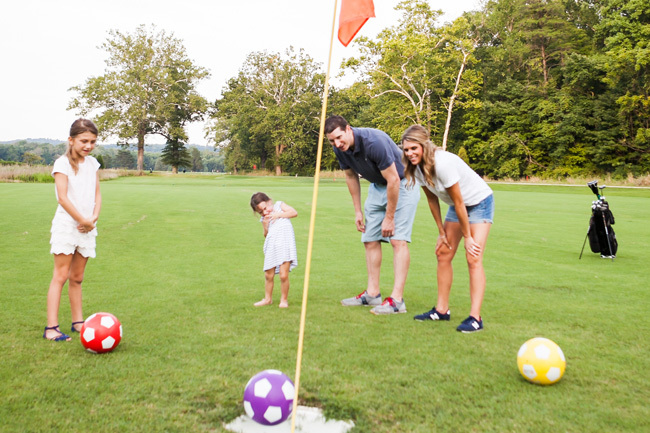 Footgolf is a precision sport, in which players kick a soccer ball into a cup in as few shots as possible. The name is a combination of football and golf, being more closely related to golf. The game is played similarly to golf, with the exception that players use a soccer ball instead of a golf ball, and the ball is kicked rather than struck with a club, working toward a 21-inch “cup” in place of the usual golf hole. The player who finishes the course with the fewest shots wins. 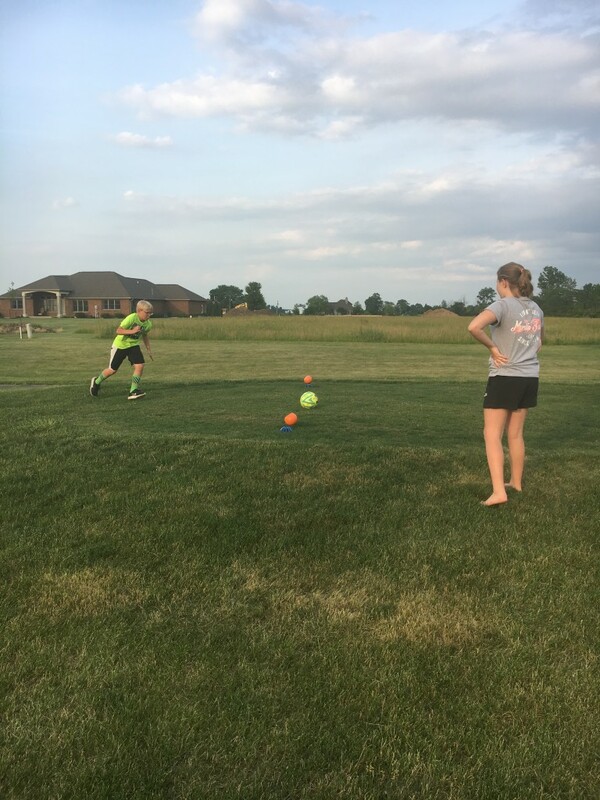 Indeed, footgolf is often played on golf courses, though it may also be played on specially built grass footgolf courses. The first shot has to be played from the tee box, and bunkers, trees, water and hills must be crossed or avoided in order to reach the hole. The game is played with a regulation No. 5 soccer ball. 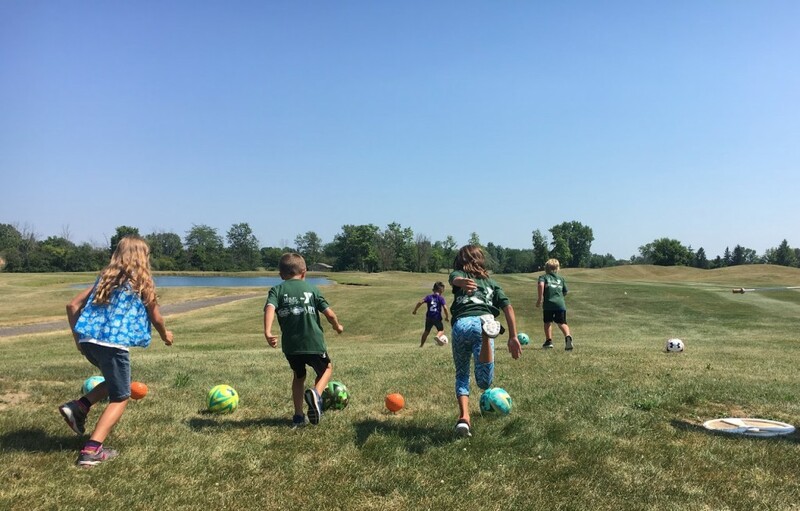 As football-soccer balls cannot be propelled as far as golf balls in one shot, footgolf is played on holes shorter than those used in golf, with most holes averaging 157 yards. Pars are typically 5 shots or fewer. 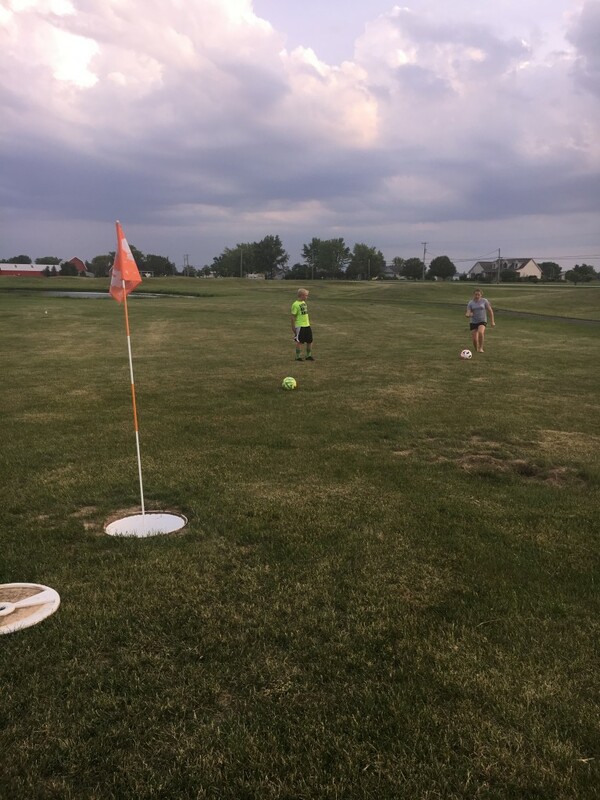 Hickory Sticks 9-hole Footgolf course is available now! Call (419) 238-0441 for a tee time or more information!